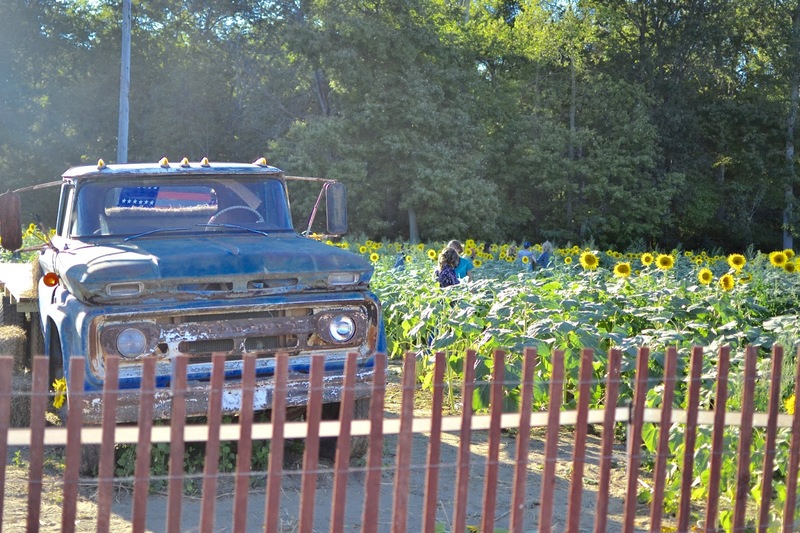 Yesterday was a really good day... we visited a beautiful sunflower farm in Manalapan, NJ. 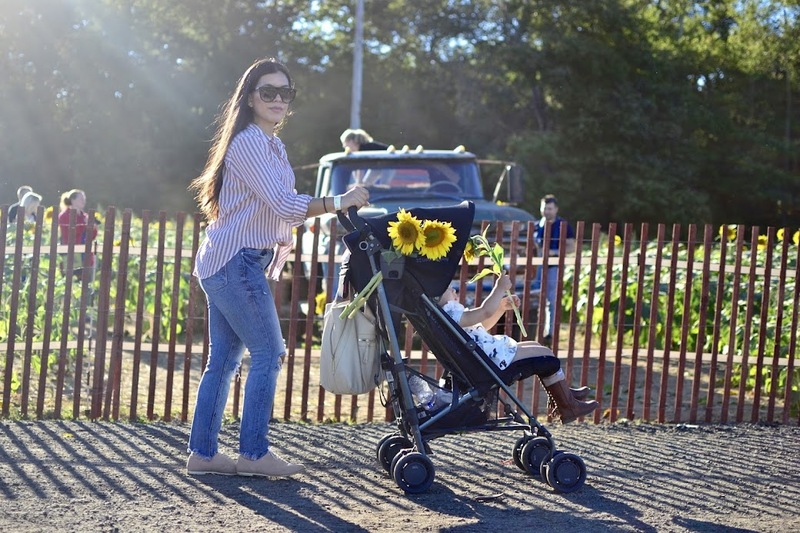 This was absolutely the best farm in NJ I have ever been too and we've been to a few. Every October we make it a point to visit a couple of farms, we love fall and the kids love picking pumpkins and going on hay rides. It was a gorgeous fall Sunday and this seemed like the thing to do to welcome fall! And those are the exact moment we should be having and cherishing right now... because of how unpredictable, sad and devastating the world is today. I've been thinking so much about everyone who is suffering for one reason or another. After such a nice weekend, today I woke up to the very sad news about the terrorist attack in Las Vegas. I laid in my bed watching the horrific videos in tears. I felt afraid, saddened and vulnerable. I hugged my children and said my prayers over and over again. Dropping off Ben at school this morning wasn't easy. So many thoughts ran through my mind, so many scary thoughts and then I prayed some more. I know that we cannot live in fear, that's what control is about but I am trying. For my kids. I don't want them to know all the horrific things happening to our world. At the same time I want them to be aware that evil exist and that we have to stay focused and we have to be kind and spread love. It's so hard not to want to completely protect them and shelter them... I know I can't live in fear but I am trying. Many times I've been to public places with big crows; the movies, festivals, carnivals, the mall... and I can't help but look around, look for exit signs and be very aware of my surroundings and I don't want to live like that. But it's so hard now a days to enjoy my days out with my family without worrying. What is happening in Puerto Rico, Mexico, the Caribbean... breaks my heart. What happened in Vegas last night is truly devastating. There are very quick moments that the thought of not leaving my house cross my mind. Clearly I don't act on those thoughts but it does cross my mind. It's scary. And if I am being really honest I am really tired of posting #PRAYFOR this and pray for that. And not because I am losing faith or anything like that but because this is happening way to often way too fast. Situations like these affect me more than you know. Please help in any way that you can. Be kind to strangers, donate money, time, clothes, food. But please do something to spread love and kindness. We need it more than ever right now, for us and for our children. I will be sharing an event I am hosting in NJ very soon, details are still being ironed out but I want to help and we will help our brothers and sisters as much as we can. Love will always win.